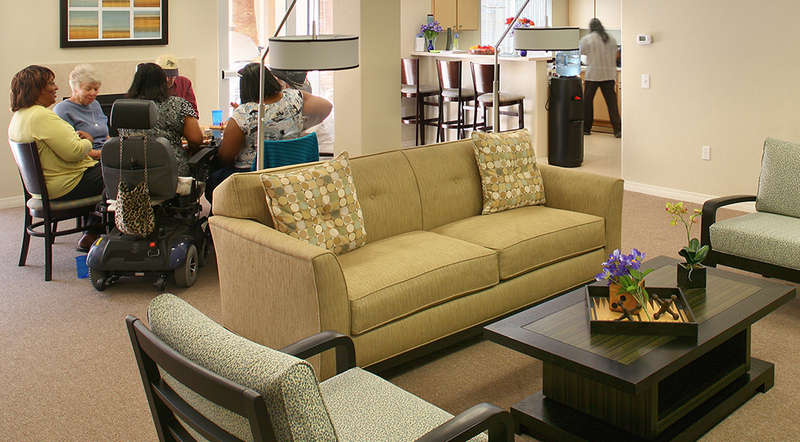 Palo Verde Terrace senior apartments is located on a 2.5‐acre redevelopment site at 38235 10th Street East in Palmdale. 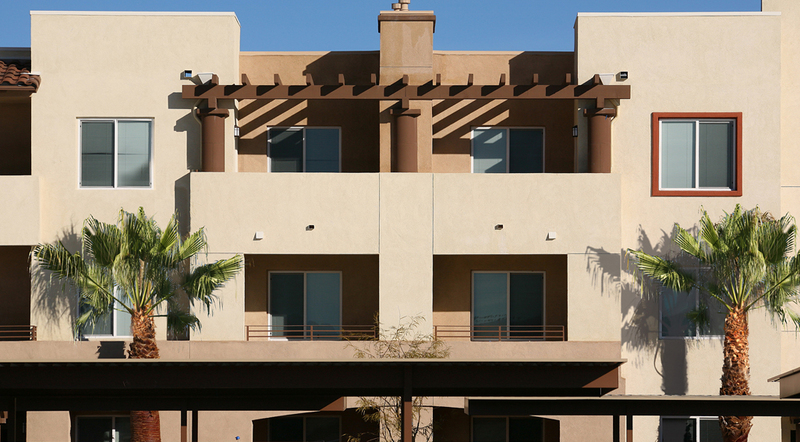 The new housing is part of the Civic Center Master Plan in the growing Antelope Valley city in northern Los Angeles County. The development consists of 78 affordable senior units with 1‐2 bedrooms, built with Type V wood construc‐ tion on a concrete slab with 86 surface parking stalls. 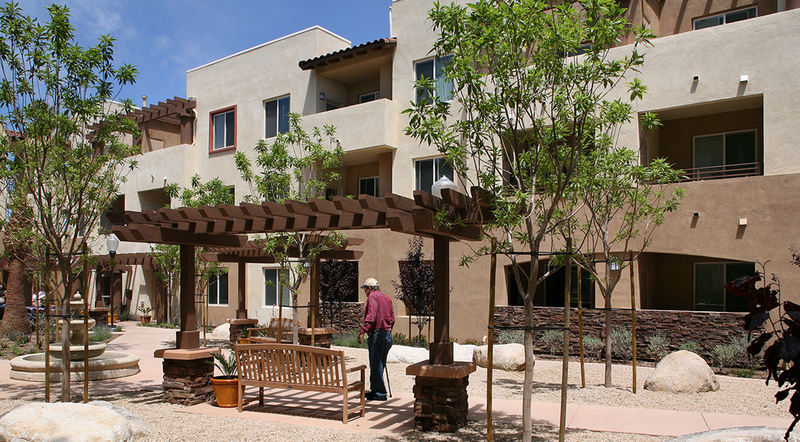 Palo Verde Terrace is located near Courson Park, the Palmdale Playhouse, health clinics, a senior center and shopping. 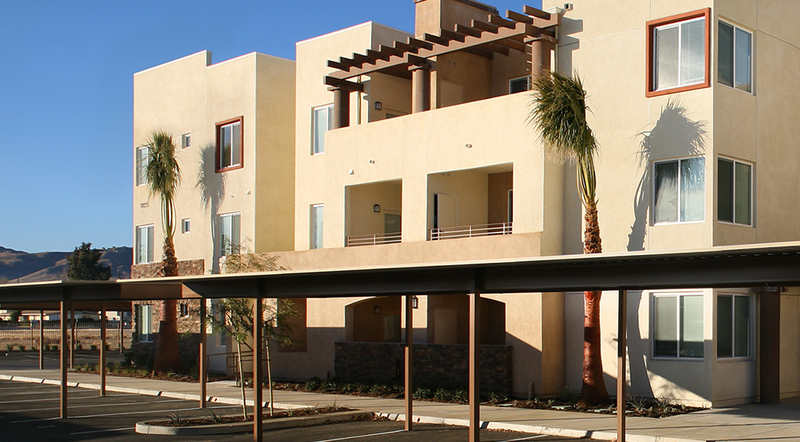 The development is also located along an Antelope Valley Transit Authority bus route. Amenities include a landscaped courtyard, barbeque area and clubhouse.